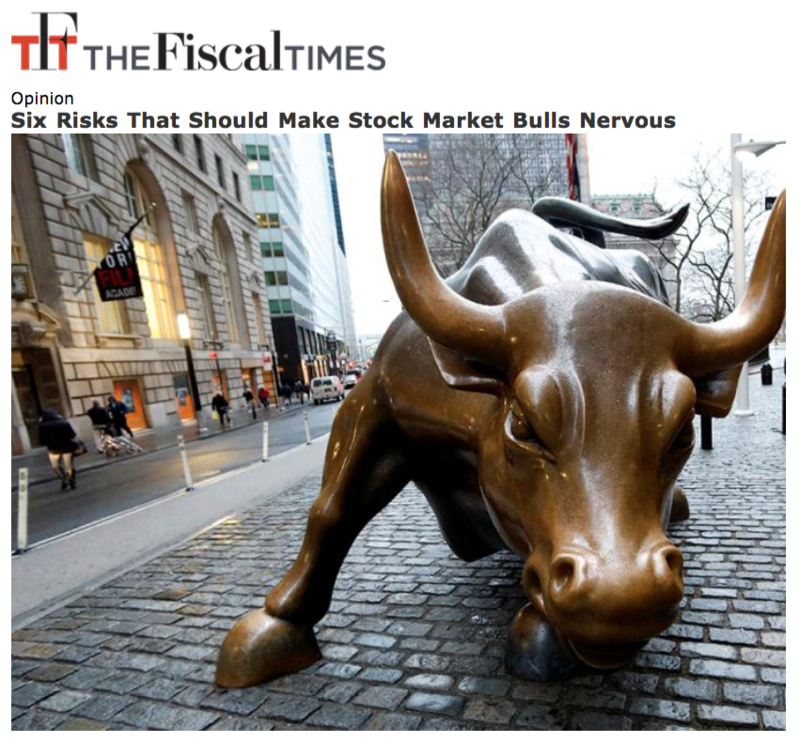 "Investors in stocks should be getting nervous," we were told by the Fiscal Times yesterday. 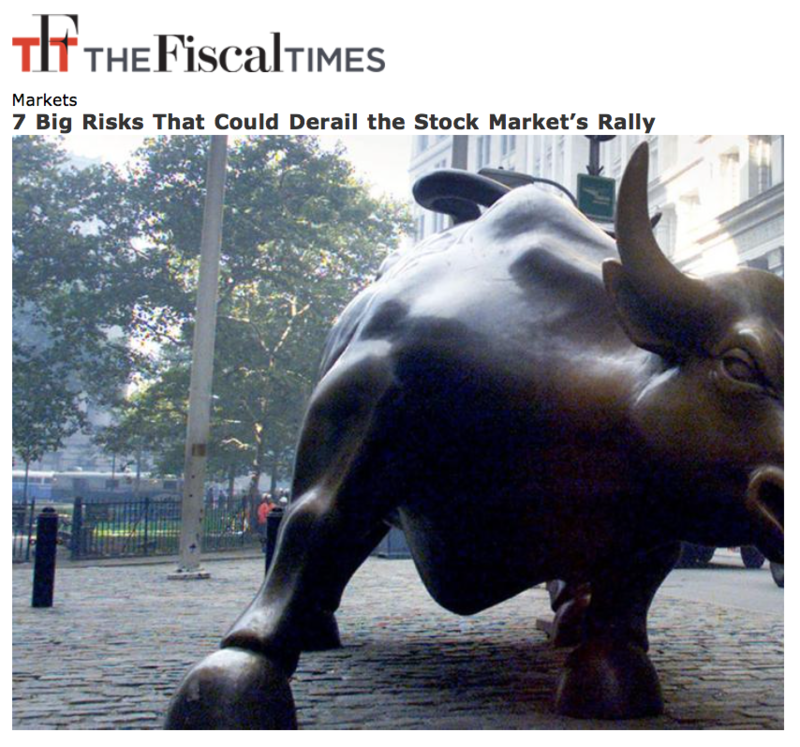 Apparently, there are as many as six different stock market risks that should concern us? Even if you don't act on these sensationalized articles, I know from talking to clients that the headlines are often effective in rattling your nerves. The thought of a stock market plunge, however inevitable, is scary stuff. No one likes to lose money; to give back the gains you've achieved. But the fact is, sooner or later that will happen. The key things to remember are that these declines are unpredictable, and if you don't sell out at the wrong time, the recovery will most likely happen quicker that you'd ever imagined. Of course, the unpredictability of stock market declines doesn't keep the financial media from trying to forecast them on a regular basis, continually insulting your intelligence. Consider that almost the same article from today ran in the Fiscal Times in October of 2016, the month before the Presidential election. Maybe things are getting better, there used to be seven risks and we're down to six? Who knows. What we do know is that these risks haven't impacted stock returns as the article predicted -- the S&P 500 is +16.1% since October 18th of last year. But maybe I'm just pulling a random item out of thin air. 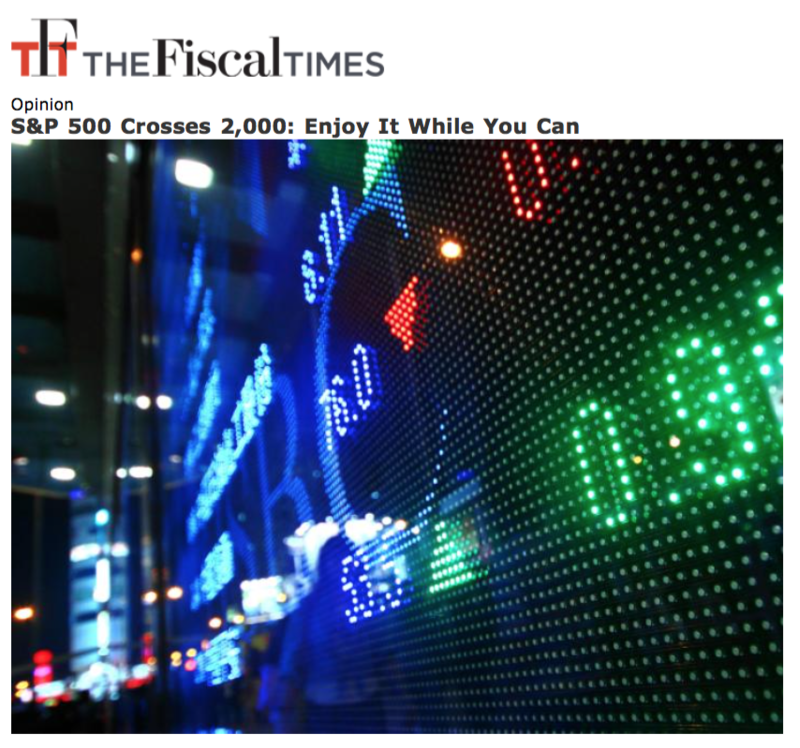 So I looked through the Fiscal Times archives as far back as they go (2014), and indeed I found virtually the same doom/gloom articles. 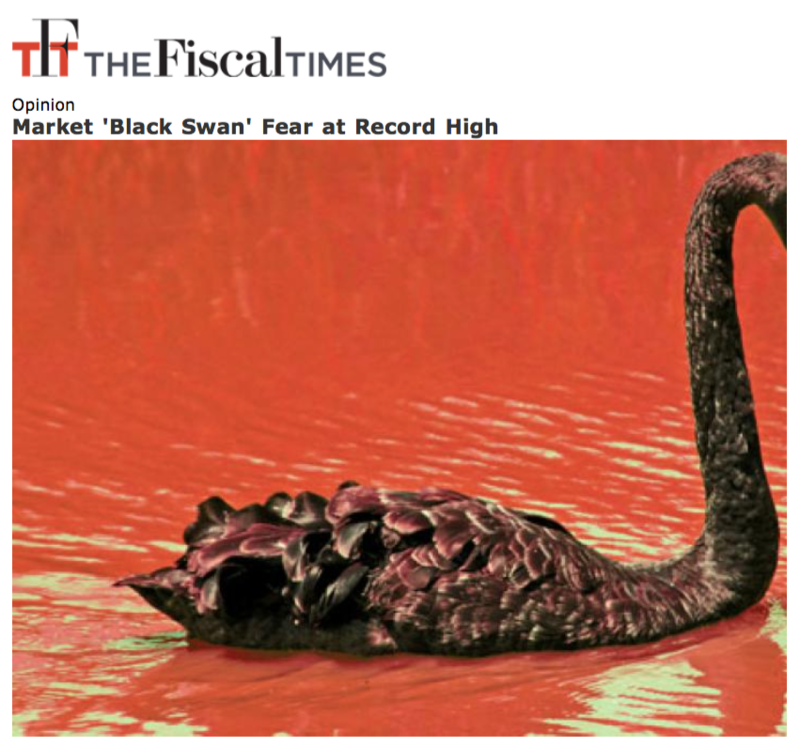 Here's one from July 22nd, 2014; it didn't list many different risks, but instead called attention to a single "black swan." I'm not aware of any big risk that materialized in the last three years. I do know the S&P 500 is up +30.8% since, about 10% a year (right on its long-term average). Here's an article I found just a month later in August 2014, claiming that the market highs wouldn't last. Technically, this one came true -- about three years later, the S&P 500 sits at 2,434, over 20% higher before including dividends. The old high of 2,000 is long gone. Finally, we should realize that these dire forecasts don't only apply to the stock market. Interest rates were supposed to skyrocket years ago, and bond returns were expected to suffer (bond prices go down when interest rates go up). 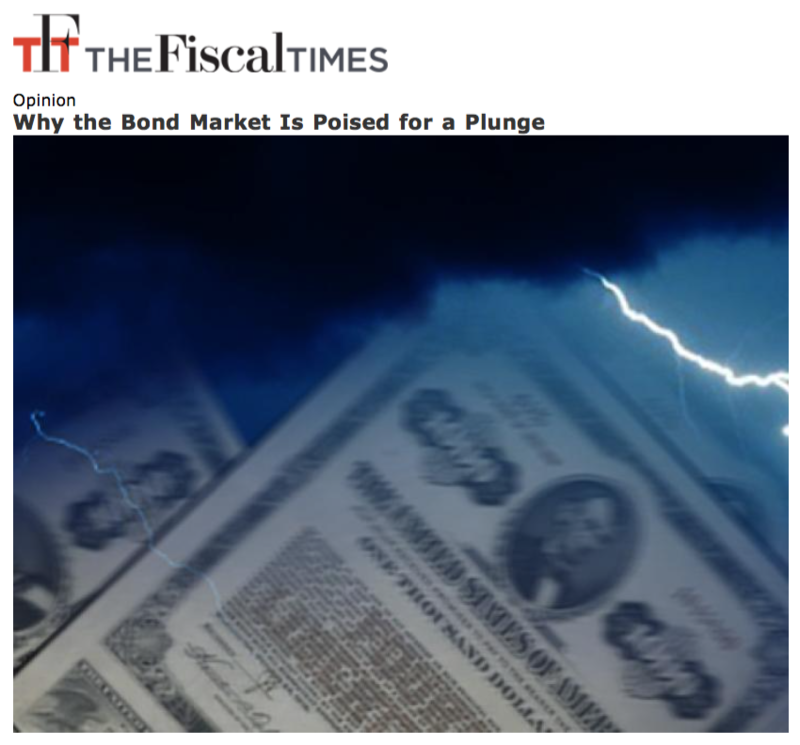 Here's a Fiscal Times article from August 2014 predicting a bond market "plunge." The DFA Investment Grade Bond Fund is +8.3% since August 5th, 2014. A look at monthly results finds that there have only been three months since 2014 where the fund lost more than 1%. The worst month was November of 2016 (over two years after the article), and the loss was -2.6%. Hardly a plunge. And stocks were way up that month, more than offseting bond declines. Eventually, the stock and bond markets will decline and investors will (temporarily) lose money. And we'll be able to dig up some article with hindsight that appeared prescient. But with so many media outlets constantly predicting "corrections" and "bear markets," this is bound to happen. It is unlikely you will be able to identify the article ahead of time and act in a timely manner. The most sensible thing to do then is not to read these articles at all. There's almost no useful information in them that would have a material impact on your long-term investment plan. And if you're not able to avoid them completely, just don't believe everything that you read.